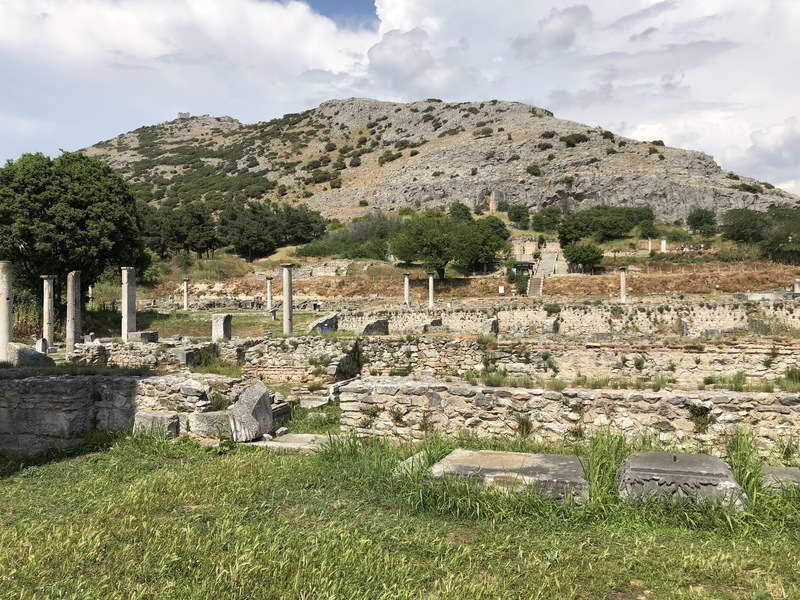 Ancient Philippi, the first city Paul visited when he came to Europe. 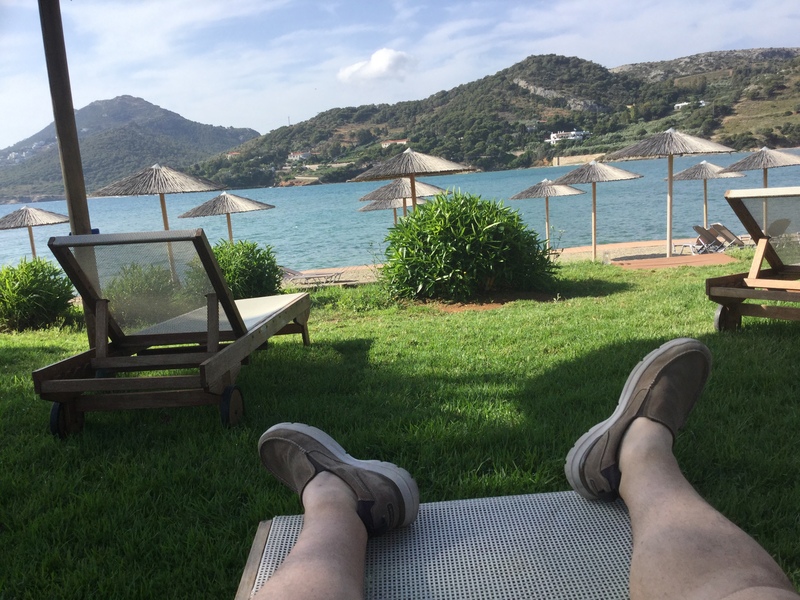 What an amazing three weeks I had in Greece and other parts of Europe! 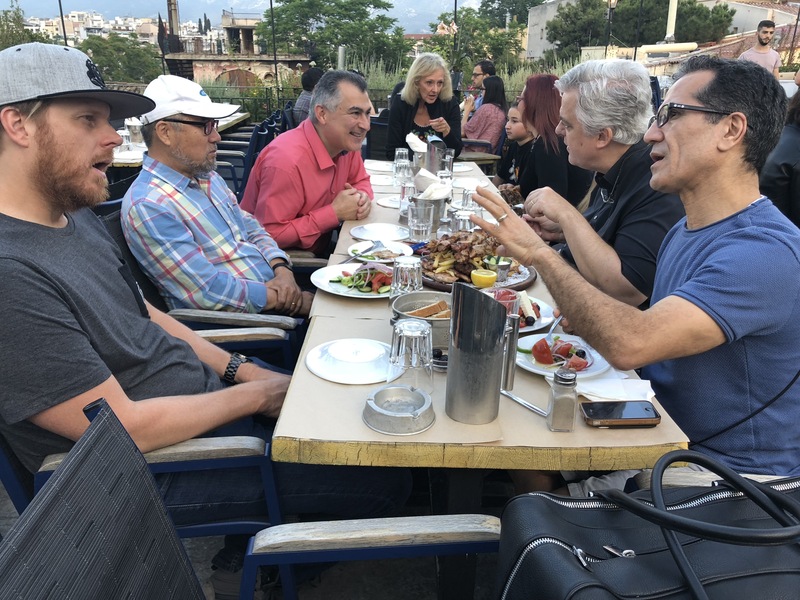 Our team in Greece did a great job working hard to minister to everyone we met and we soaked in all the Biblical history as we walked the steps of Paul across this beautiful Mediterranean country. 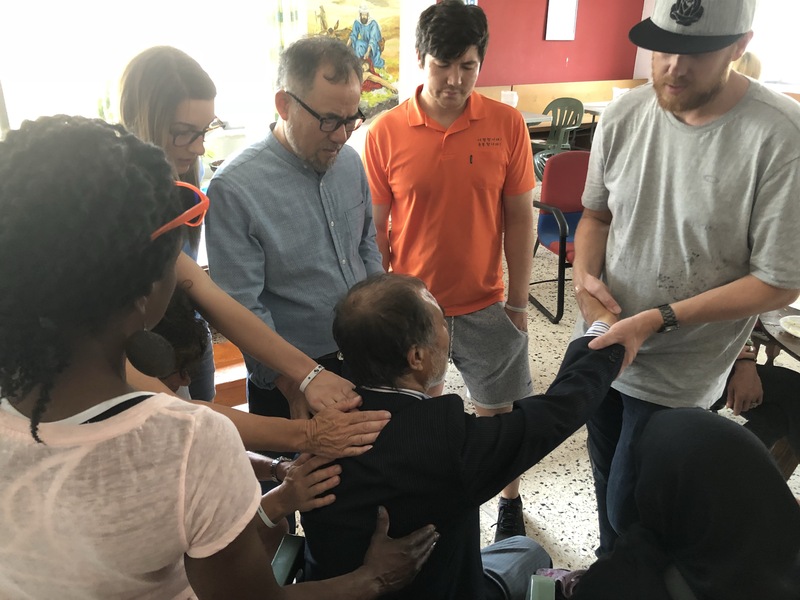 We worked with 2 different churches in Athens, Samaria Church who ministers mostly to refugees from Afghanistan and Iran and the Greek Evangelical Church in Piraeus who focus on Greeks but also have an active ministry with refugees. We’ve been in Samaria Church for many years now and it was amazing to see how God has grown this church. Pastor Philip is from South Korea and he has a growing staff of German missionaries who are assisting with the church. The Sunday we were there was their first Sunday to have small groups. Pastor Philip said that he had prayed and worked for over 20 years for the church to have small groups. He was understandably emotional as he introduced the 12 leaders who he had discipled to become small group leaders. It was also in his church where we met a couple from Afghanistan. The husband had personally watched his entire family be executed by the Taliban. In the aftermath he suffered a heart attack and a stroke and had lost his speech and the ability to move his right arm. Our team was privileged to pray for him. At the end of our prayer time we were amazed to see him lift his right arm and repeatedly extend a grip with his hand! Pastor Pavlos at the Greek Evangelical Church was a firecracker to meet! His energy and passion for reaching his community and growing his church was contagious. We loved meeting his church leaders and seeing the many people who came for a meal on Thursday afternoon. On that day, as Brock Gill offered an invitation at the end of his message the room was filled with raised hands. One senior adult couple in particular were sitting up front. Pastor Pavlos told me that his couple had come the past 2 weeks and the wife in particular was so excited to come to church. They came out of a Greek Orthodox background but as they came to the evangelical church they were in awe and overjoyed to hear the word of God preached. Pavlos said they were soaking up every word taught and couldn’t wait to come to the next service. Hellenic Ministries has a campground located here on the Aegean Sea. Not a bad place to meet with the Lord! We also worked with Hellenic Ministries at a camp they were holding for refugee men. They had about 50 men at this remote camp site for the week and we were there on their first night of their camp. About half of the men were already believers but the other half were not yet followers of Christ. We had some great conversations and Brock presented a magic show and then the gospel. 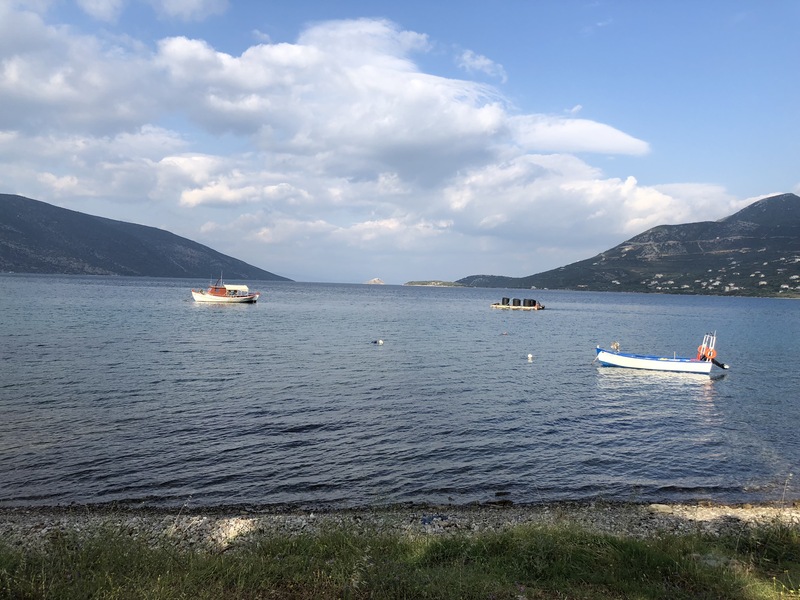 We saw several responses at the end of the night but the great news was that at the end of the week they baptized 8 new believers right there in the Aegean Sea! Brock (far left) visits with Pastor Philip, Pastor Pavlos, and missionaries Ken and Mo (l to r). ock did a little show for them and then we spend time in prayer. Our team shared the night with the families and then prayed over them. We gave them gifts and cards of encouragement, many of which were written by you! It was a beautiful night to edify those who live everyday on the front lines of faith. From Greece most of our team went home but Brock, his wife Auny, and I went on to Portugal to be with Troy and Michelle Pitney and Surf Church in Porto. We had an amazing weekend in this beautiful city on the Atlantic Ocean. At their Sunday evening service Surf Church was joined by two other church plants and we had about 150 people in what became a very cramped space. Three people responded to the gospel presentation that night. Troy said that is a big response in Portugal! After saying good-bye to Brock and Auny who headed off to begin a 3 month sabbatical I went to London. I had lunch in London with a good friend, John Theuns, who was just about to accept a leadership position in a small church in London. He had every intent to ask me about bringing a group to help his church in 2019 but I beat him to the punch by asking first if he would like a group to come. So we agreed that I would put together a group to come do children’s and youth ministry at his church, and possibly at several others in the London area. Keep your eyes peeled for information about this trip in July 2019. If you are already interested let me know! Next was Germany where I spent a few days with Marvin and Meagan Schaefer. They were such kind hosts and we had a great time together. I was able to share with their youth and young adult group on Thursday night and had a great time meeting them. Then on to Finland and a weekend with Shaun Rossi and the United Community Church. Shaun is a church planter from New England who came to Finland and never went home. He has a great passion to reach Finland through the colleges. His church is laser focused on reaching the college campuses in Helsinki and the surrounding areas. With three different church campuses he stays busy and has some great support from other guys there like Daniel and his wife Kati. I preached three times on Sunday, once on each campus, at 10, 2, and 5! It was a great day and I really appreciated the great hospitality shown by Shaun and his entire team. My trip ended with a travel day and a long layover in Riga, Latvia, a rest day in Athens at a resort on the sea, and then the long trip home. Many thanks to all those who prayed for us. God moved and blessed in many ways. I never cease to be amazed at how He puts people on the trip who need to be there and how He matches each team member to at least one person that they connect with in a meaningful way. Where will we go on our mission trip? The Great Commission is clear; we must go to the world. Every day we walk outside our home we are going, but we also must go outside our normal patterns, our normal life path. When we get beyond our day to day life we are given the opportunity to grow, to be challenged, to learn new things, to explore new paths and perhaps to hear something fresh from the Lord. This is one of the best things about going on mission trips and one of the reasons church leaders want to see their members on mission trips both near and far. But where will you go? How will you decide where to go? I can’t say I know where you should go, though I’d love to make a few suggestions J. I can say I have a learned a little over the years about how to find the place that fits your church, your goals and your ministry. Always begin with PRAYER. The number one goal is to find the place where God wants you to go. If we can agree that the Lord has called us all to go, then the only question is to discern His leadership as to the place. Don’t get so spiritual here that you are looking for God to form the clouds in the shape of the country, but do begin by seeking His guidance and asking Him to guide you as you seek His direction. There are some practical things you can do that I believe God uses to help us understand what He wants. Don’t throw darts at the map, prayerfully seek Him as you work towards His guidance. What is your budget and how much will you ask people to spend on a trip? It is not unspiritual to ask this question. Funds are a limiter for most people and groups. Obviously the more you have available the farther you can go, but that doesn’t mean you should go as far as your money will take you. It can mean that you understand the limits you have on where you will look. Of course, the Lord can burden your heart and provide the funds to go beyond your perceived ability, but don’t take that step before the Lord has led you to do so. What kind of group do you want to take? Think of this in two ways, size and age. Are you taking youth, families, senior adults, median adults? Different ages can go different places to do different things. Are you planning to take 150, 50, 25, or 5? Again, the size of your group directly affects the places you can go and be helpful. A large group may overwhelm a small church and leave large numbers of your group with nothing to do. A small group may not be able to accomplish the task, meet the need at one location but would fit perfectly at another. When are you planning to go? How long will you be gone? Will this be a summer trip? Spring break? Fall? Of course, this affects who will go but it also impacts how far you can go, how long you can stay. Don’t plan a week-long trip where you will spend 2 days driving up and 2 driving back, leaving only 3 days for ministry. At the same time, it’s difficult to recruit people to spend $3000 to go overseas if they only get to spend a few days in the country. Not many people will give up their entire spring break for a mission trip either. Plan accordingly. What skills do your church members, potential mission team members, have? What have you done in the past? Consider not only what you have done on mission trips but also at your own church, in your own ministry field. Do you have people who will go who are good at construction or experience working with children or teens? The answers to these questions may help guide you as you explore opportunities to serve, but don’t limit yourself to past experiences. Are there some things you haven’t done but would like to do? 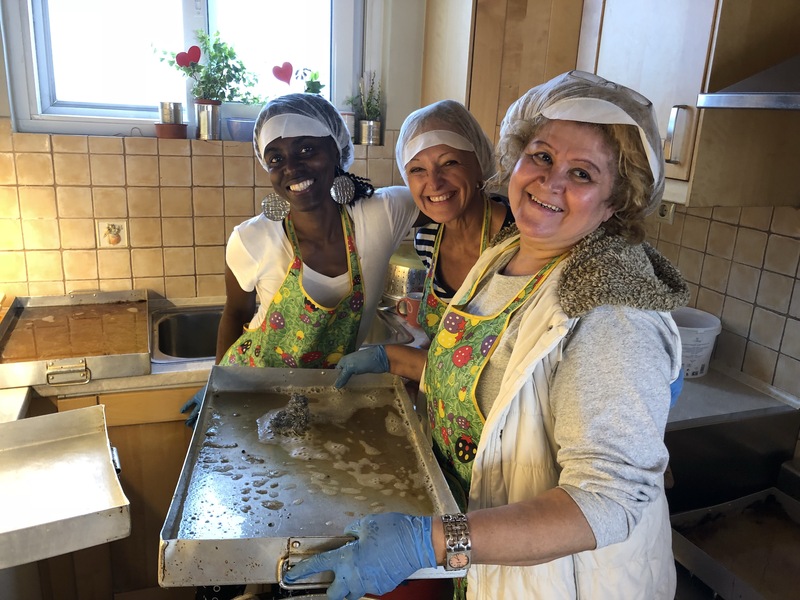 The mission trip can be an opportunity to train your team in new skills that will be useful on the trip and also when they return. Jump start evangelism training by taking your team on a trip where part of the task is street evangelism. 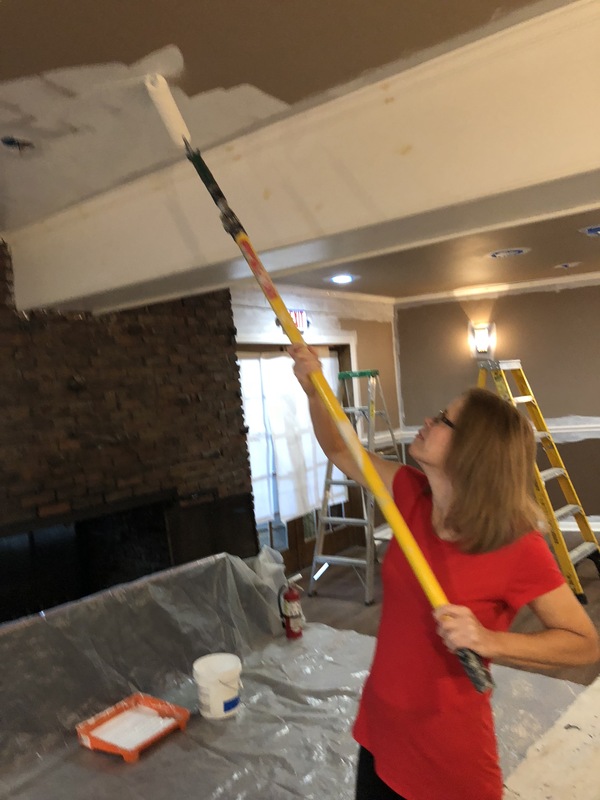 By training to do something on a mission trip they will learn skills to use at home and gain confidence to share their faith at work or school. I learned to share my faith while I was in high school, preparing for a mission trip to Pittsburgh. God often uses past relationships or passing acquaintances to open doors for you. Who do you know already who is in a place that could use your group? Who have you met recently that might be able to open a door for ministry? Call them or send a quick email. They may not need a team but they might know someone who does. Ask your friends in the ministry where they have been. Talk to other pastors, denominational leaders or mission leaders to discover good opportunities. Finally, consider what kind of strategy you want to have as a church as you approach the world of mission opportunities before you. I’ll talk more about this in a later post, but you should begin to ask questions like: How do we want to impact the kingdom? Where in the world is the heart of our church? Do we want a long-term relationship? Pray, Pray, Pray. The Lord will lead you and your church to the opportunities He has for you. I went on my first mission trip when I was 12. 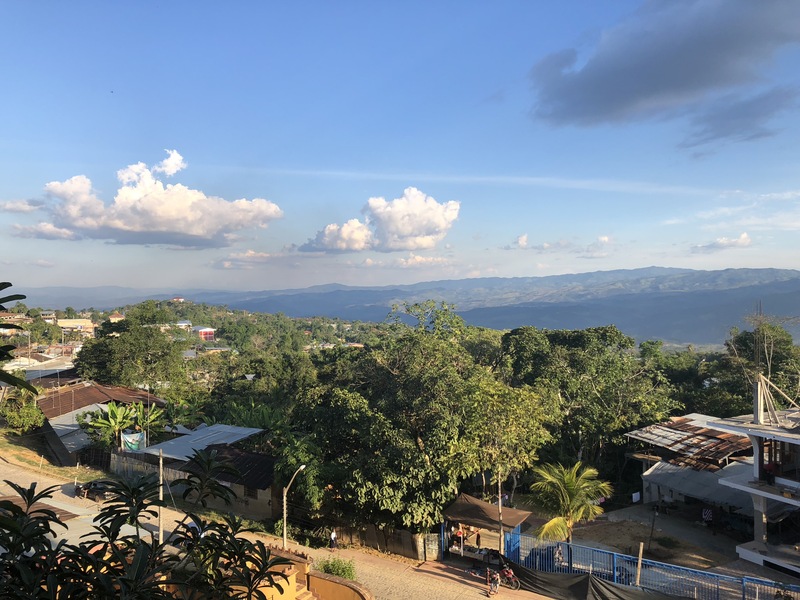 About to enter 8th grade, the mission trip was the highlight of our summer youth activities every year and there is no doubt those experiences made an indelible impression on me that affected much of my future life path. In the many years since then I have been on at least one mission trip every year and I have led more than 30 trips myself. I am a believer in the value of the short term mission trip. 1. A good mission trip puts the believer in a new environment, challenging their faith and their preconceptions about the life others lead. Whether it is a foreign country or a different culture or just a different life environment, we need to see how others live, how their faith is incarnated every day and how the gospel is applied in a situation unfamiliar to us. It is too easy for us to think that how we live is how everybody lives or to think that our problems are the worst, when the reality is that many go through much more difficult life situations every day. 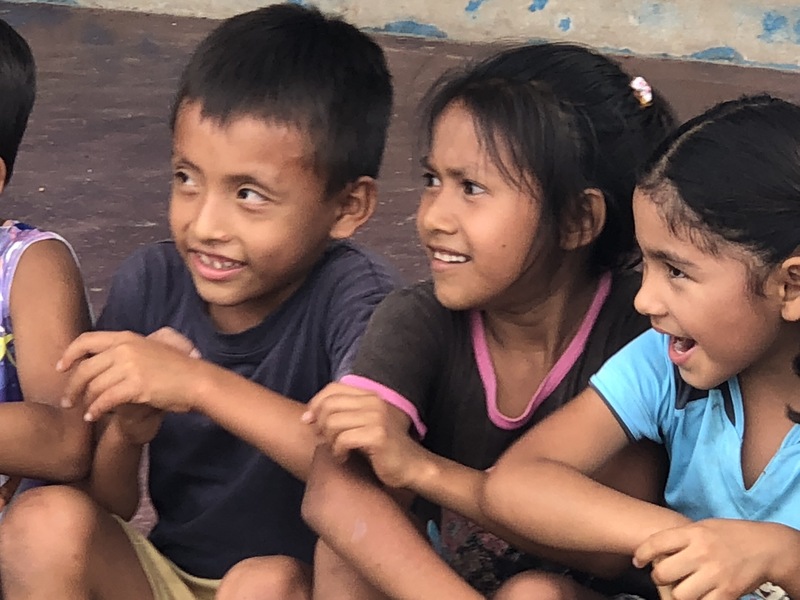 It’s impossible to not be affected when we see kids without homes and families, or refugees without representation or those raised in areas where there has never been a gospel witness. It is also very powerful to meet believers who live under threat of persecution in countries closed to the gospel. It is important for the Christian to see these situations and find a way to bring encouragement, mercy, grace and the gospel. 2. 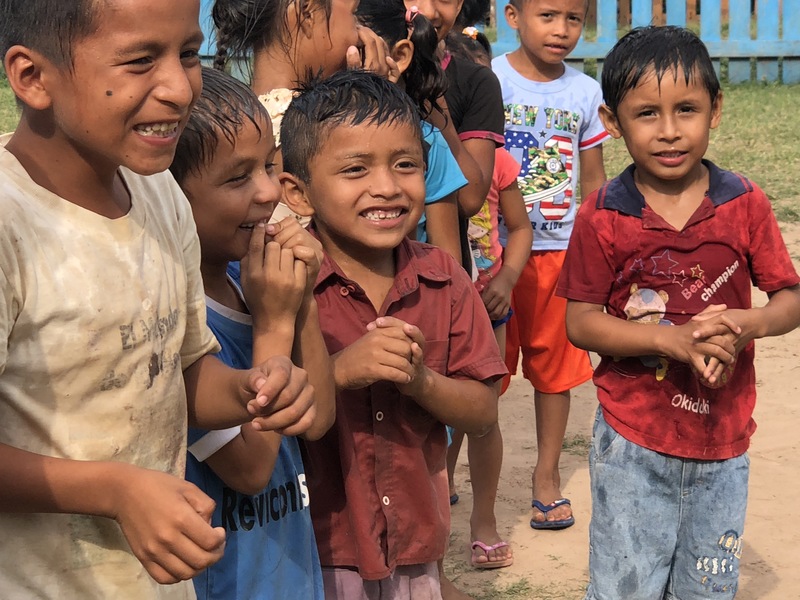 A good mission trip challenges our spiritual disciplines by forcing us to trust the Lord in ways that go beyond the normal day to day life of home. I first learned to share my faith during preparation for a mission trip and the first time I did so was as a high school student on that trip to Pittsburgh, doing home visits for a church. Mission trips bring some urgency to our faith and the application of it that is needed. Some of my best worship experiences have been with a group getting ready to go on mission. Just recently we were at the University of Texas Baptist Student Ministry commissioning service for their summer missionaries. As we sang worship songs and prayed for the students who were going around the world on mission the intensity of the worship was much different that the typical worship service. The words of the songs had a stronger meaning to all of us. Everyone knew that the challenges of faith would be great and the need for trust in the Lord was paramount. 3. 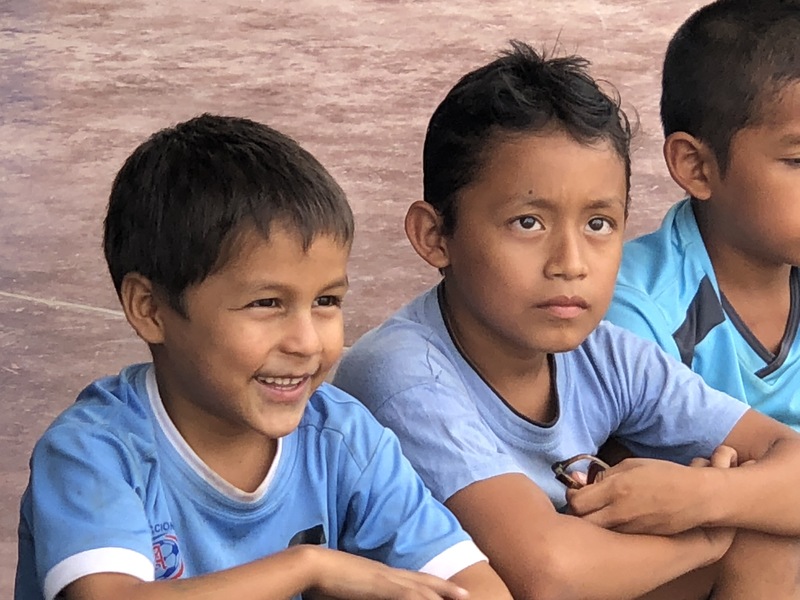 A good mission trip encourages those who are serving on the field, whether they are missionaries or indigenous church members. 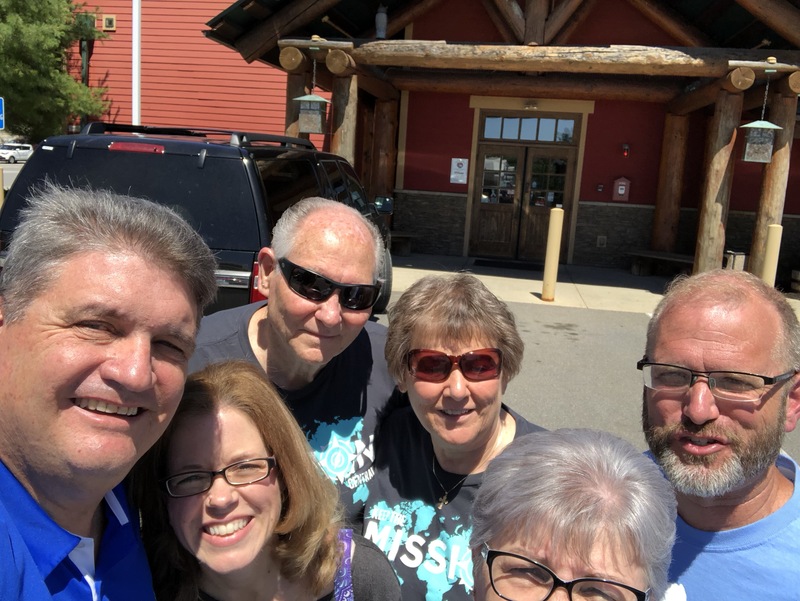 When possible we love to take trips that are connected to a local church. 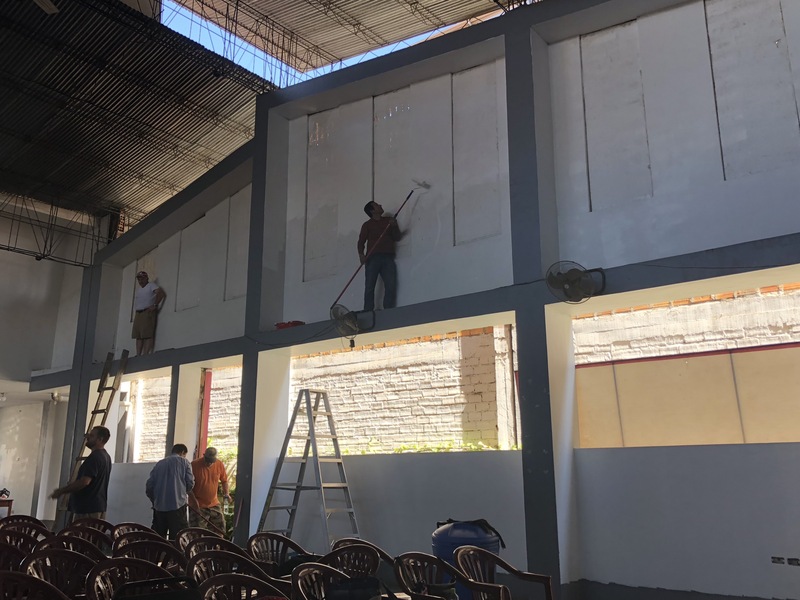 No matter where that church is or how big that church is, when a group comes to stand alongside them and assist them in their efforts to reach their community, it is an encouragement. Sometimes we are more involved with missionaries, especially in foreign countries. 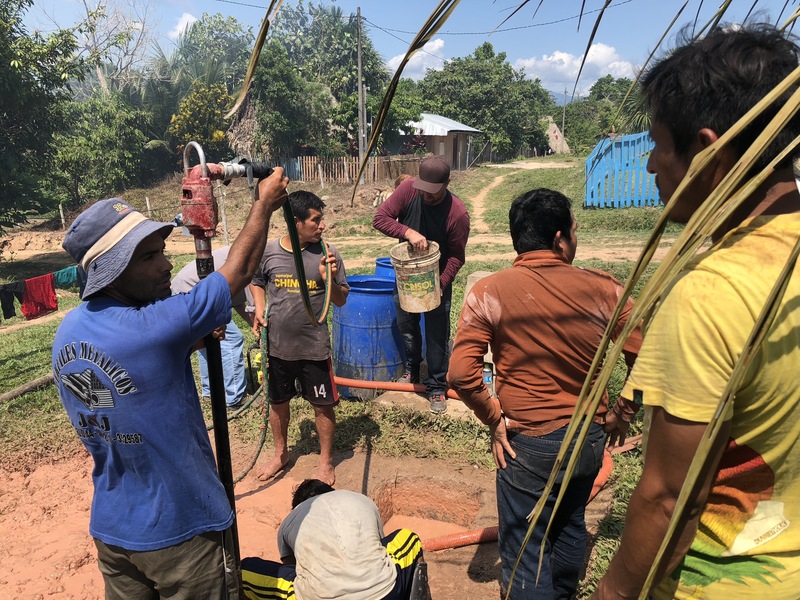 As much trouble as short term mission groups can be, when a group comes with the goal of encouraging and assisting, not correcting or patronizing, it serves as a great encouragement to the vocational missionaries. Those who give their lives. and the lives of their families, need to know that there are others praying for them, thankful for them, supporting them and eager to help them. 4. A good mission trip makes the team members better church members and better Christians when the trip is over. Those who take on spiritual challenges with faith responses grow in their walk and become better disciples when they get home. It is the natural pattern of growth and the natural result of seeing life differently. Students gain a greater appreciation of what they have had all along. Adults often come home to see ways they can apply new skills learned on the field to their home mission field. Mission team members become better financial supporters of all mission work and of church budgets. A church will never regret sending people to the mission field. 5. A good mission trip program results in more people responding to vocational ministry and mission calls. Short term trips open the door for us to consider long term mission work. 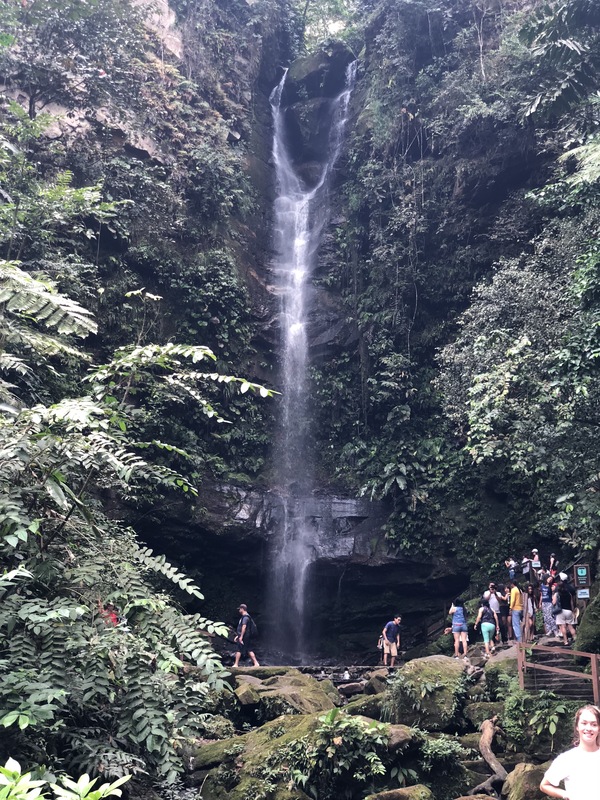 Countless thousands over the years point back to a mission trip where they clearly heard the call of the Lord on their lives. By making sure we send this generation to the field, we plant seeds of faith that will bring a harvest of missionaries to the world. There may be no more urgent task facing the church in the U.S. than reaching the lost masses in the Northeast and especially in New England. The land that received the Christian pilgrims who came to escape religious persecution so they could practice their faith with vigorous devotion, that gave birth to two of the greatest movements of God (the first and second Great Awakenings in the 18th and 19th centuries), is now the most unchurched area in the United States. 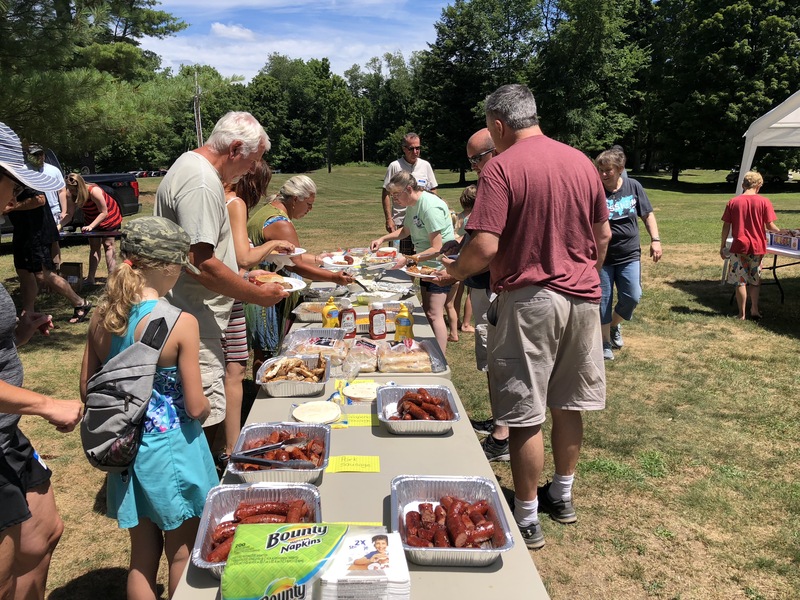 Vermont is the most unchurched state in America with fewer than 2% claiming a relationship with Jesus Christ and only about 70 evangelical churches in the entire state. This is a state with 251 towns and villages, so the majority of towns have no evangelical church in them. Across New England we see families with no church affiliation reaching back four and five generations. In the six states of what is classically called New England (Maine, New Hampshire, Vermont, Massachusetts, Rhode Island, Connecticut, there are about 15 million people and only about 300 Baptist churches. If we include New York, New Jersey and Pennsylvania in this northeaster corridor there are about 55 million people and a great need for the gospel. What occurred to me during our visit was that this might be the home of the next Great Awakening. It just seems that if revival came through the South there would be so many churches and Christian leaders wanting to take credit for a work of God, but that if it came through New England there would be no doubt that it would be the work of God. So we are ready to step into the gap as far as the Lord leads. 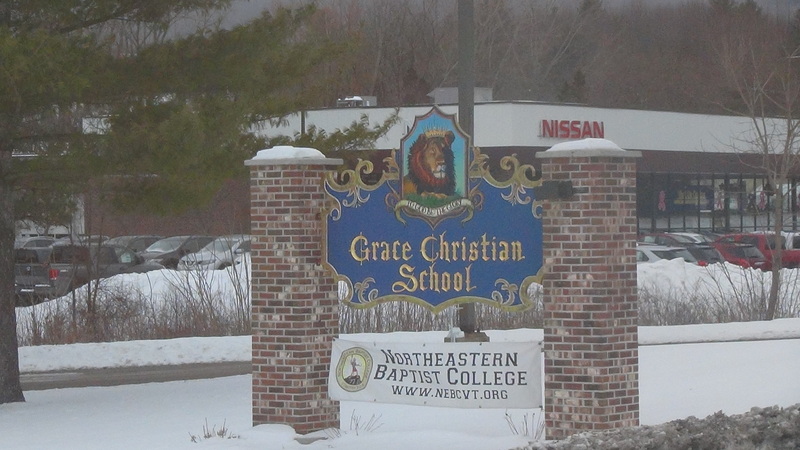 Right now we are focused on trying to get leaders and churches involved with Northeastern Baptist College and the churches in Vermont. Pray about being part of what God is going to do in New England. Pray for the churches and believers who live out their faith in an area where they are a huge minority. Pray for God to call church planters, church leaders and mission groups to go where the need is great. Pray for the lost in New England. 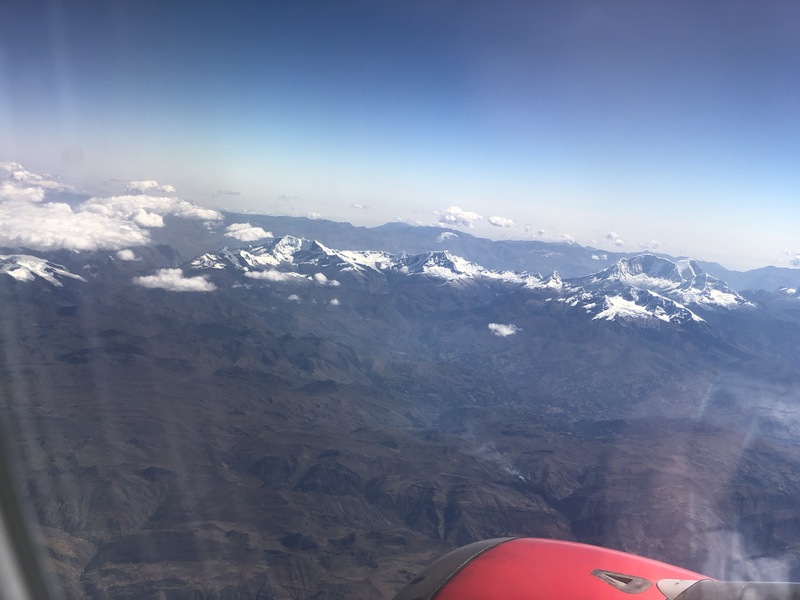 Back in July I posted our story as the Lord led us to leave the pastorate and start out on a new journey helping churches and individuals do missions around the world. In the five months since then we have had repeated instances where the Lord has confirmed to us that this is the path He has chosen. It is both exciting and daunting to venture where there are no lines drawn and no path to follow except to see where the next step is. I want to share some of the things that have happened over this time, as much for me as for those who will read this. Immediately after our last Sunday at Spring Creek we had to decide where to attend church. Having been in one church for over 20 years, I thought it would be refreshing to see different churches and how they “do church” as well as hear some of my friends preach the Word (it has been wonderful by the way). The first Sunday we went to Faith Bible with Amanda and Kevin, our friend Aaron was leading worship that week. Wouldn’t you know it, it was “Mission Sunday.” In fact three of the first four Sundays, in four different churches, there was a mission emphasis. These “coincidences” served to affirm in our lives over and again the Lord’s leading. Over the last five months we have been in at least 7 mission services, none of which we knew about before we walked through the door of the church. In November we had an opportunity to do something different and it required much prayer. We took the weekend to consider the possibility of moving into a different type of work. That weekend the church we visited had a missionary speak. He preached on a passage that was key to our original decision back in July. I dropped out of the new opportunity without hesitation and have had no second thoughts. The latest instance happened just before Christmas. The pastor who performed our wedding, Ed Wright, moved to Vermont to begin working at a new Baptist college. When I heard about it I was intrigued with the idea of doing some work with them in the New England area. In early December I finally contacted Ed about scheduling a trip in the Fall of 2014. Interestingly, Ed was going to be in Austin before Christmas and was speaking at Hillcrest Baptist, the church where Julie and I were married and the one we planned on attending the Sunday before Christmas! Another coincidence. Through our visits we have decided to take a trip in February there and are now going to work on another one in the Fall. These are just some of the things that have happened, but it is good to remember all that the Lord has done and how He has led us continually. One of our wisest decisions back in July was to drop everything, quit both our jobs, so that we would be able to go anywhere at anytime. We’re learning to be ready to go, to see that those things that some might call mere coincidence are often the hand of God at work as He leads us along a path. We have to be discerning, choosing those things that are in the path He has directed. We have to be wise, knowing that there are limited resources, and yet trusting, knowing that He has unlimited resources. We have to be creative, doing the work when there is no established pathway. And we have to be faithful, knowing that the Lord has a plan beyond the horizon of our sight. When we began I told Julie that I could get us to the end of August 2013. We’ve gotten to January 2014 and I can see through about April. Looking forward to what comes next. P.S. Sometime in the future I’ll share some of what I’ve learned about being a Christian who isn’t a pastor or staff member. It’s been challenging after being on a church staff for the past 30 years.